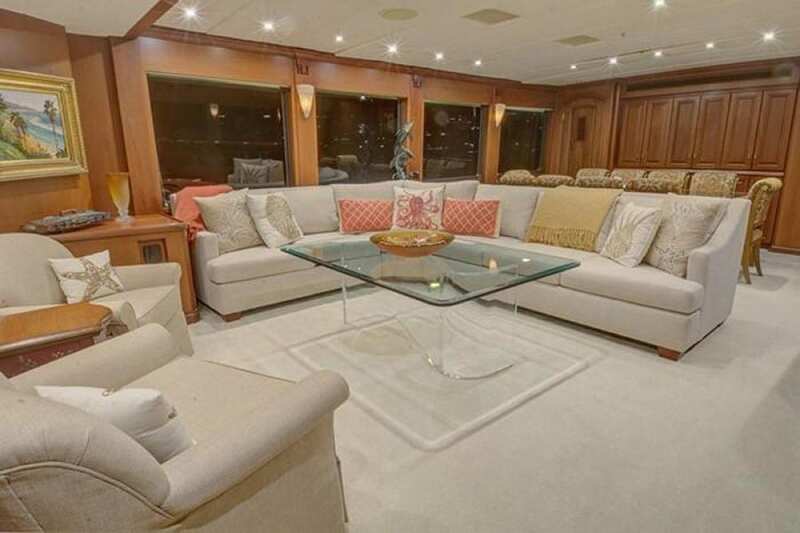 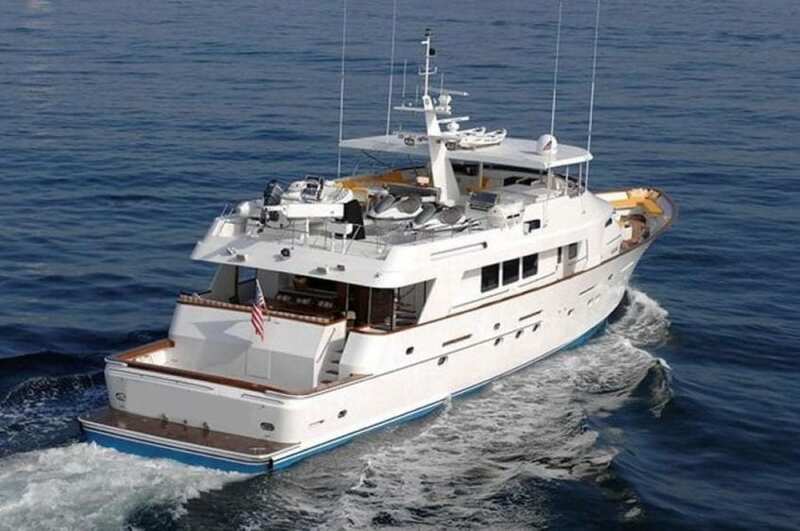 San Diego yacht charters in a 115′ Christensen. Designed by Mary Roberts, the elegant interior is welcoming, showcasing comfortable furnishings and beautiful mahogany panels and trim. 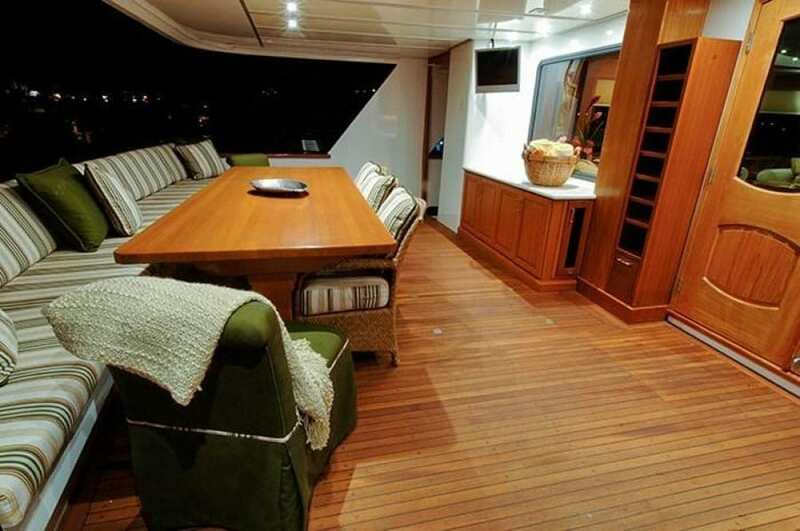 Her main salon provides a great place to relax and socialize. 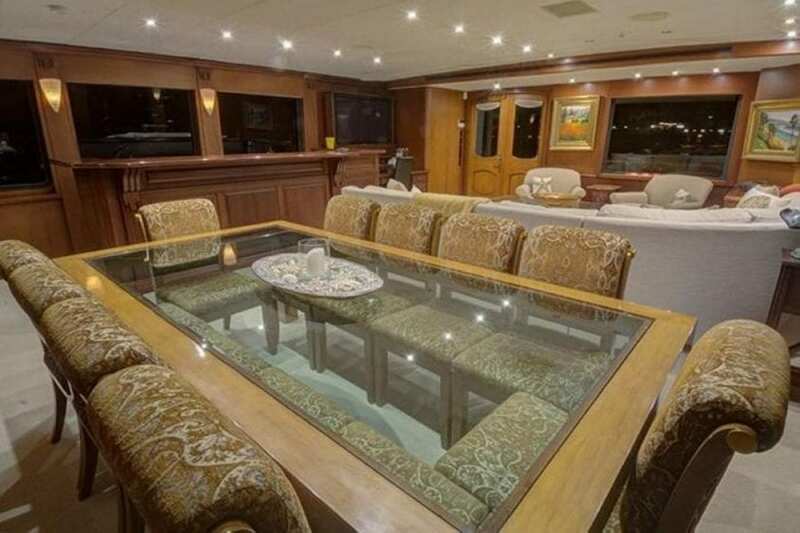 Delicious meals can be enjoyed at the formal dining table located just forward of the main salon. 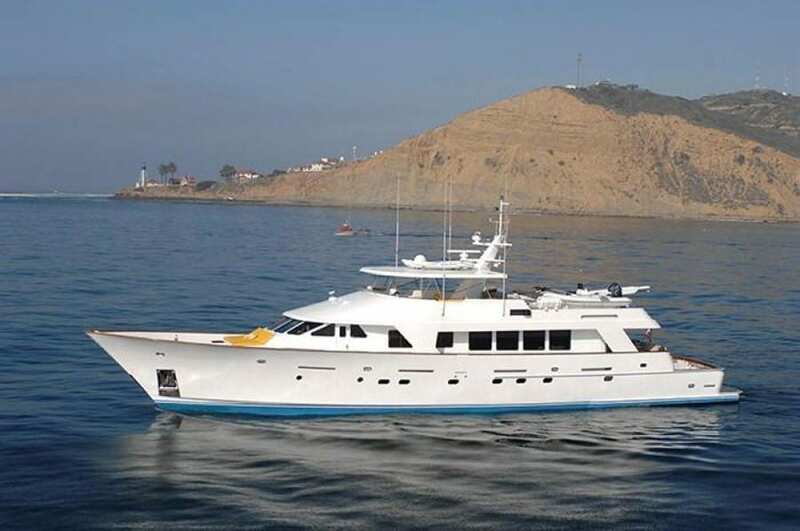 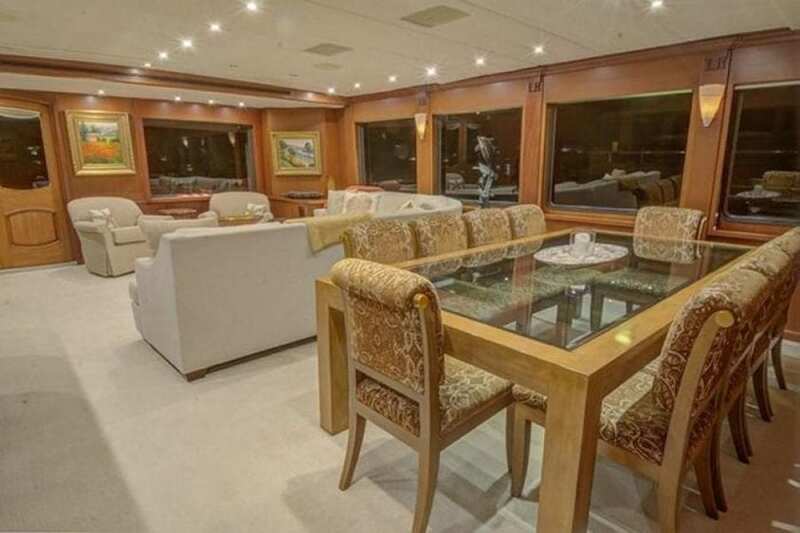 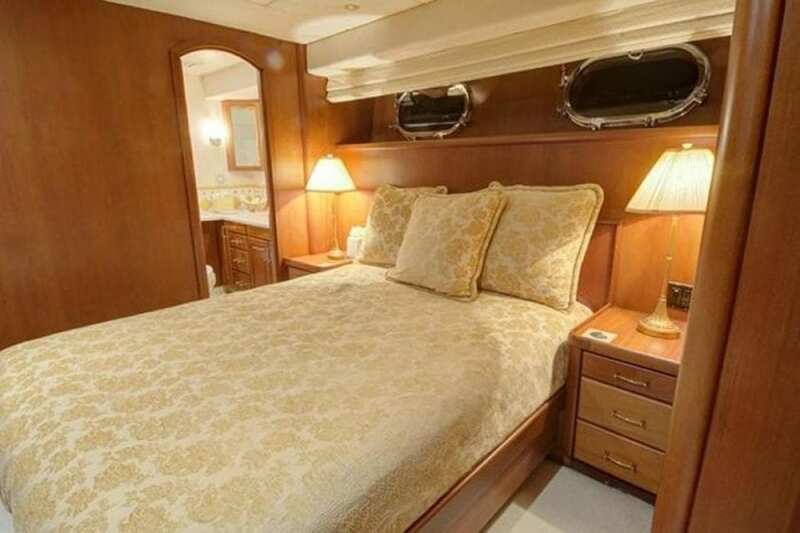 Our private San Diego yacht charters with 115′ Christensen can accommodate guests in four lovely staterooms. 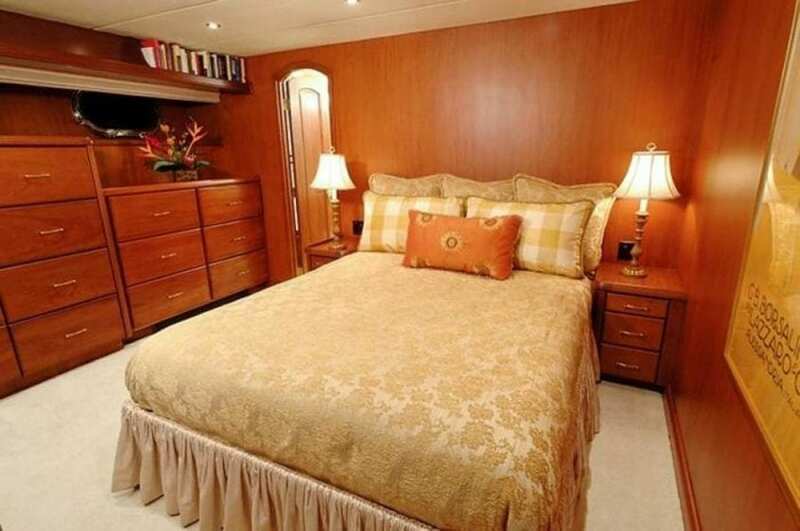  The motor yacht’s staterooms include an amidships VIP featuring a queen-size bed, a port queen-bed stateroom with a Pullman and a starboard stateroom with four single bunks. 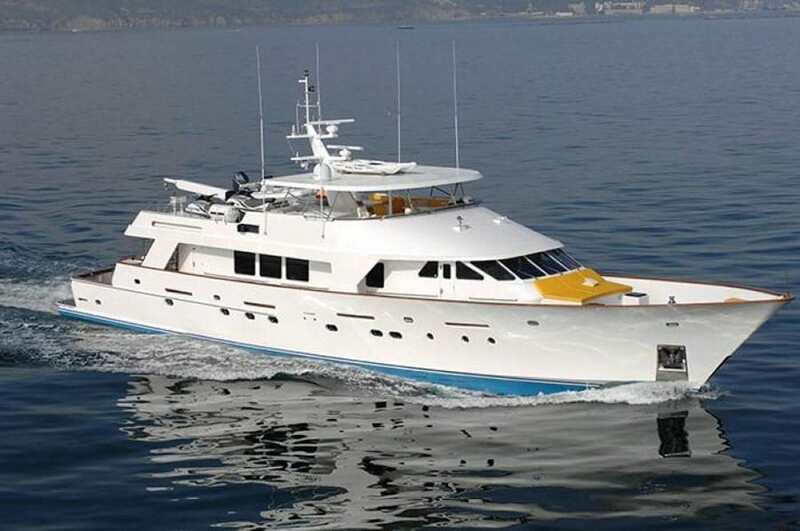 She sleeps 10 guest comfortably, with the four single bunks she is ideal for a family overnight yacht charter. 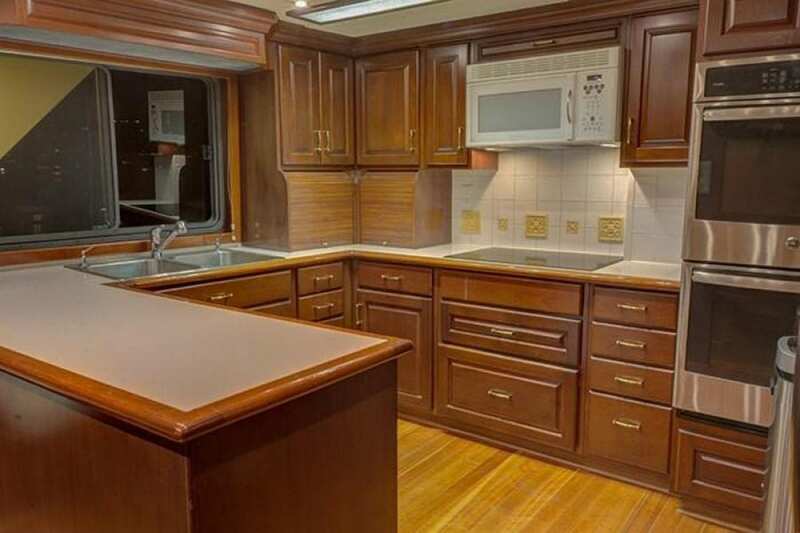 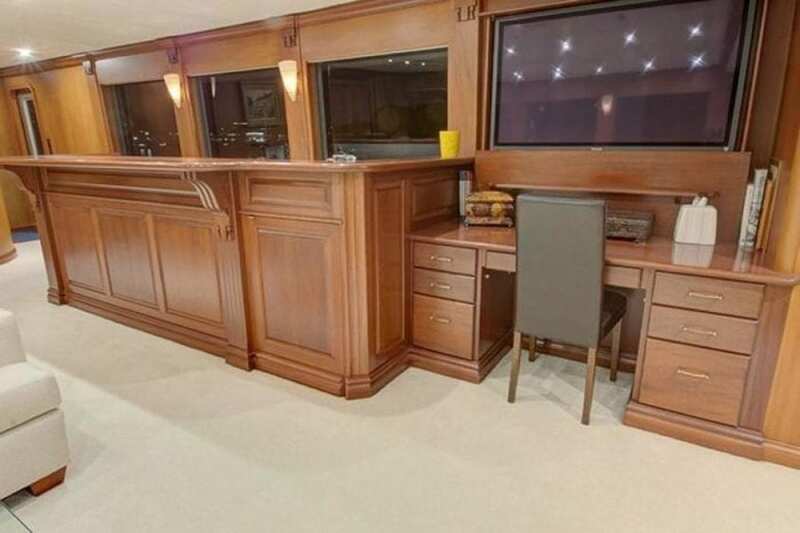 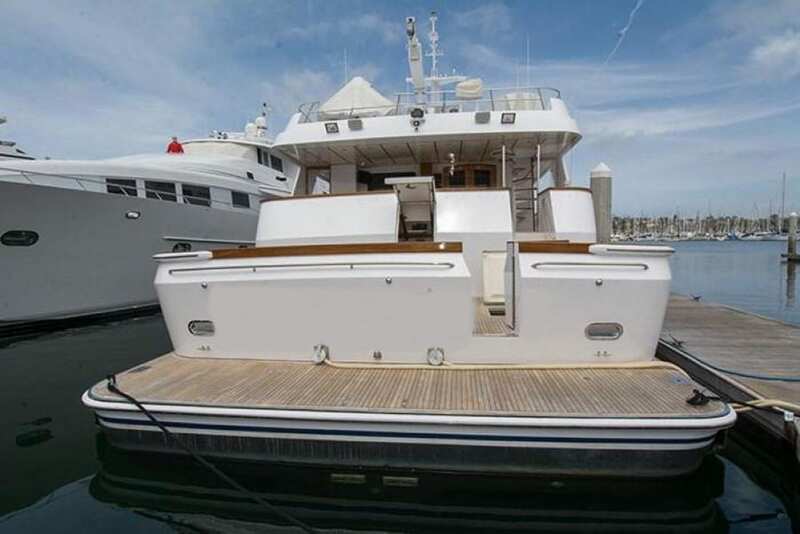 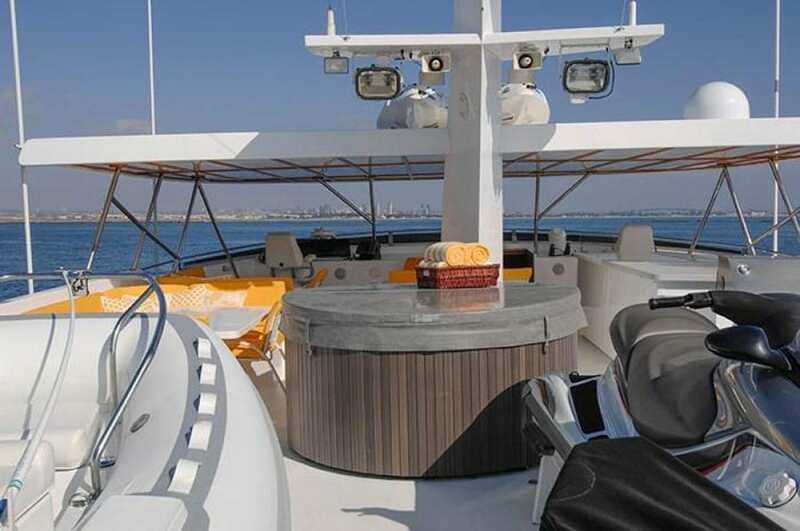 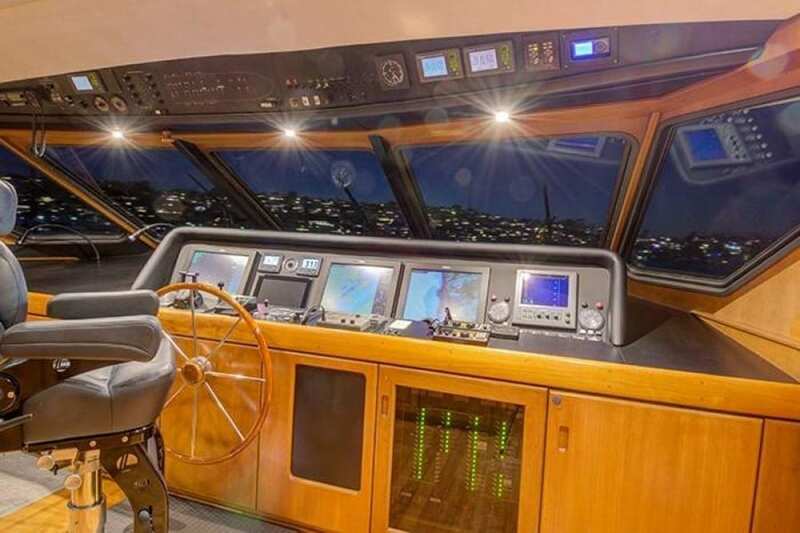 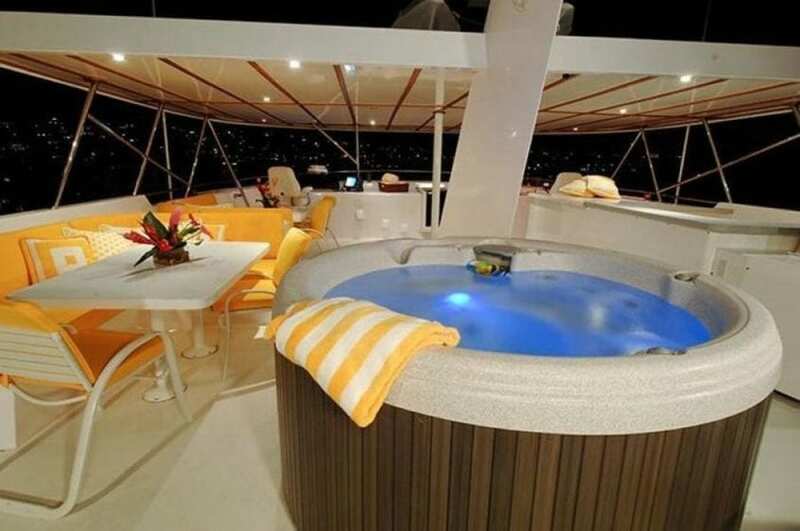 This private yacht charter luxury motor yacht showcases a large cockpit where days can be spent fishing or sunbathing. 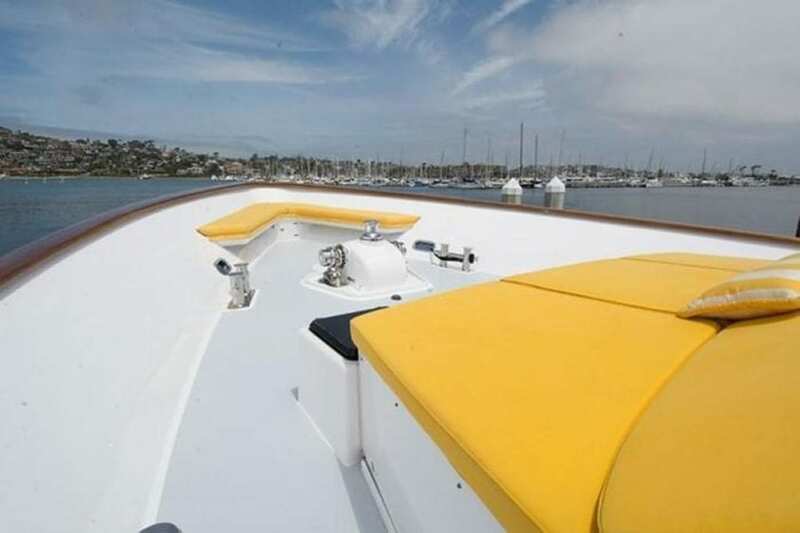 A few steps up, her California deck offers views of the action in the cockpit and dining alfresco. 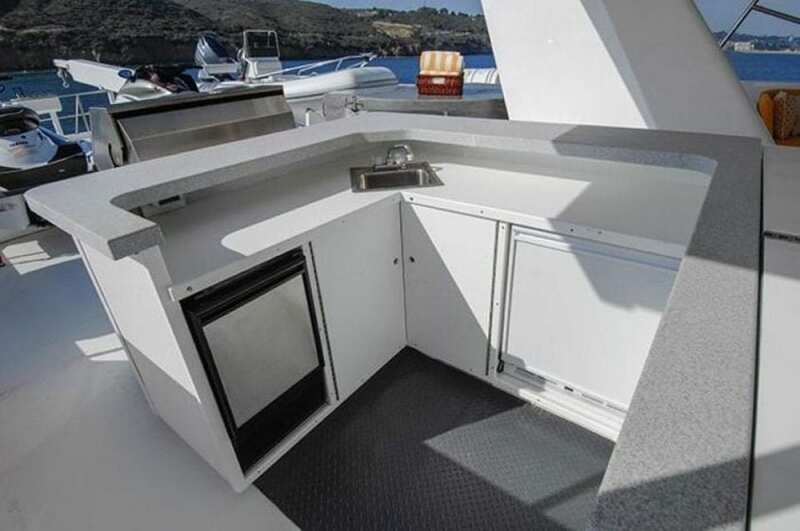 This area can be fully enclosed, so everyone can enjoy regardless of the weather.